The mystery began with shards of egg shell in the arena. I pondered the source and had suspicious thoughts about the usual predators about the yard. The dog seemed most likely innocent as this scene lacked the limp corpse that usually marked her interactions with small animals. A racoon snack? 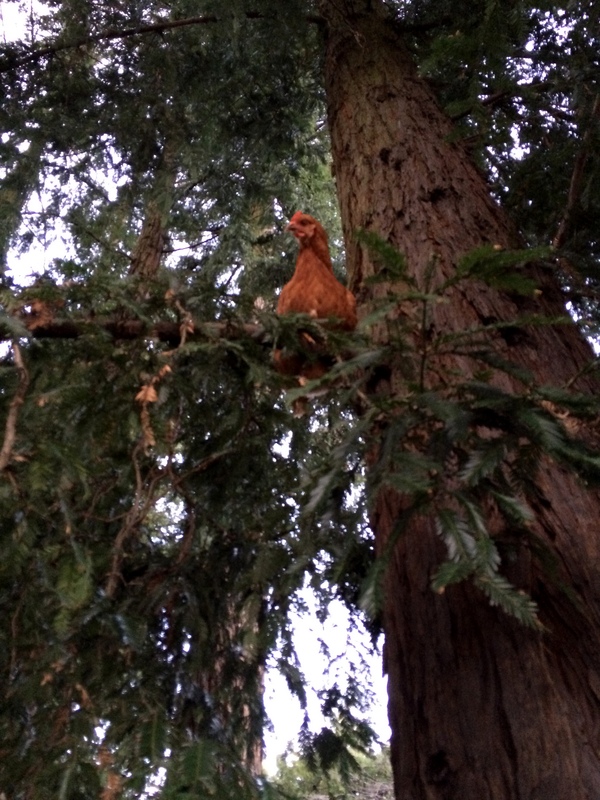 The hens, you may recall, had been sleeping in the trees for months at this point so a night raid of the coop might only turn up eggs. Perhaps a very vigorous someone who enjoys both collecting eggs and performing daring acts of speed and agility dropped an egg on his way to the house? This whole super-extra-free range chicken situation was going from mildly worrisome (What will they do when it rains? When will the racoons wise up and start picking off the lowest roosting ones?) to frankly irritating. After deciding they preferred open air sleeping, the chickens began fancying themselves entirely feral and began making nests willy nilly all over the paddock. They got terribly good at it and sometimes we wouldn’t discover the hidden clutches for days. The crows, however, were not so impressed by the chickens’ egg hiding prowess and, faced with such bounty, took to just pecking out and eating the eggs right at the nest. If we were really diligent with our egg collection we could beat them to it, but really diligent has never described my relationship with the chickens. 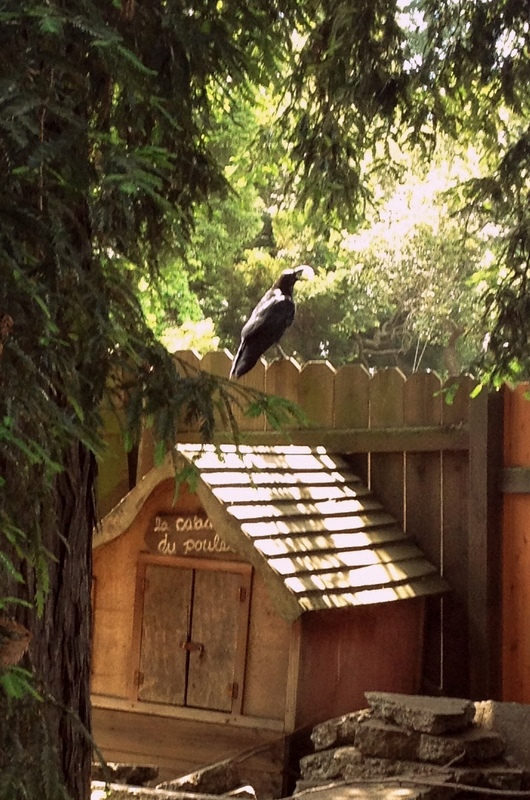 Meanwhile, proceeds of our 36 dollar bags of organic layer pellets and lovingly tossed kitchen scraps were going directly into making the next generation of genius crows. I had to take action! So I did it. I locked them up. A few of them I could lure into captivity with treats, but I figured not all would go so gently. I purchased the long, metal, chicken-catcher hook that I had always looked at with curiosity/apprehension at the feed store and slunk around the yard after the last 2 stragglers until I could slip the hook onto a leg and drag each poor thing into my clutches. Our coop was once a duplex sort of a situation for chickens and rabbits, but has been all chicken space since our last Angora rabbit died several years ago. 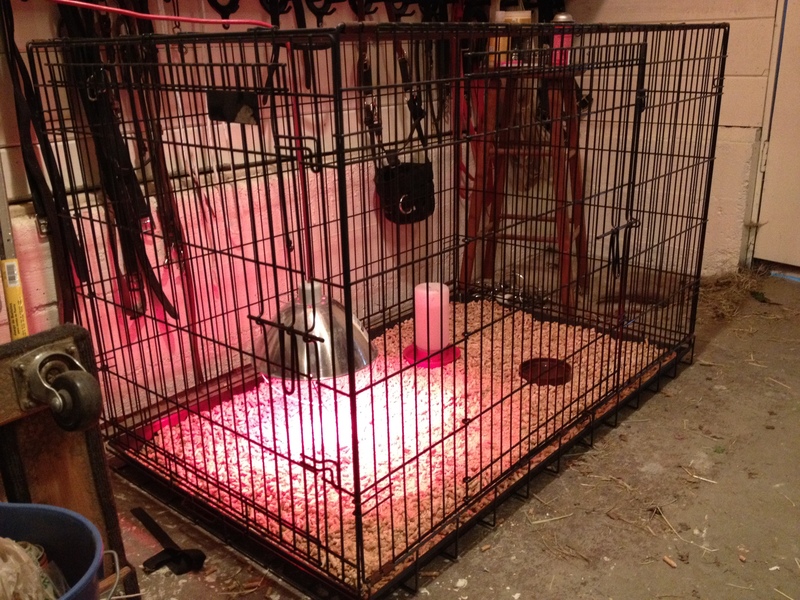 As such, it’s not perfectly designed to be an all-the-time space for chickens. It’s long and narrow and has a wire floor them keeps them off the ground. They hated it right from the start, pacing the cage most of the time, looking longingly at the two loose bantams (uncatchable, I didn’t even try) who were still able to roam. I had convinced myself that this was the practical thing to do. We have our chickens for eggs! We will eat all the eggs! I let this sadness persist for a few months. Until I couldn’t stand it anymore. Having unhappy animals just isn’t part of our deal, not worth it. For awhile I thought the answer was to build a fabulous new, larger coop that would showcase all the innovations I was discovering on line (a poop hammock under the perch! chicken-weight-operated rat-proof feeder!). Ben, however, thought this kind of job would realistically not happen until the Summer, which sounded approximately 50 years away. Instead we just opened up the door. The ladies have never looked back. 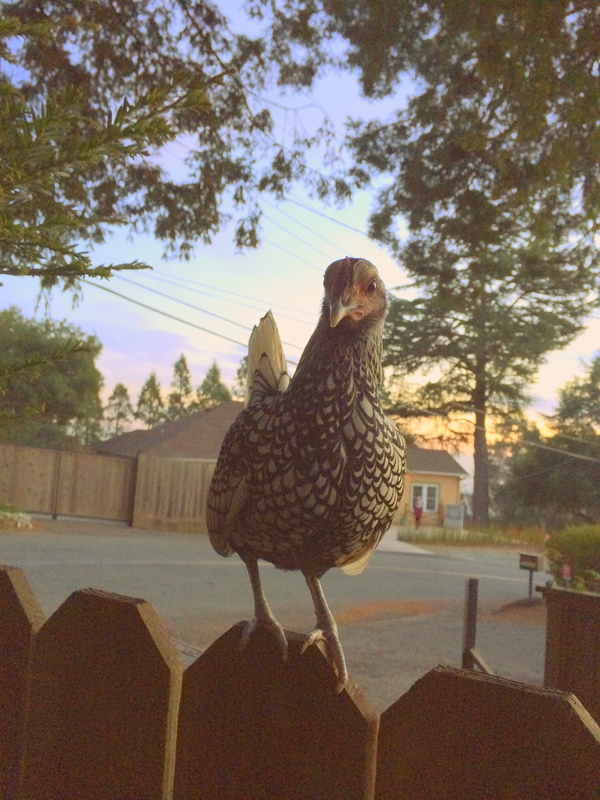 There has already been evidence of egg theft, but I have a new answer: more chickens! I figure with enough chickens we won’t miss the eggs too much. I also hope to soon have much of the detritus and hiding spots around the yard cleared out so that the nest box in the coop looks most inviting. I have some ceramic eggs in the nest which are supposed to help. And, sigh, I’m working on that diligence thing- collecting eggs more than once a day to stay ahead of my competition. It’s all worth it when I pull into the driveway and see the gals loose in their Redwood habitat. I have always been enchanted by even the most banal of chicken behavior. I stop the car sometimes and just sit, taking in the awkward flailings of a dust bath or the precise, repetitive strike of a beak into a nook of bark. Great stuff. 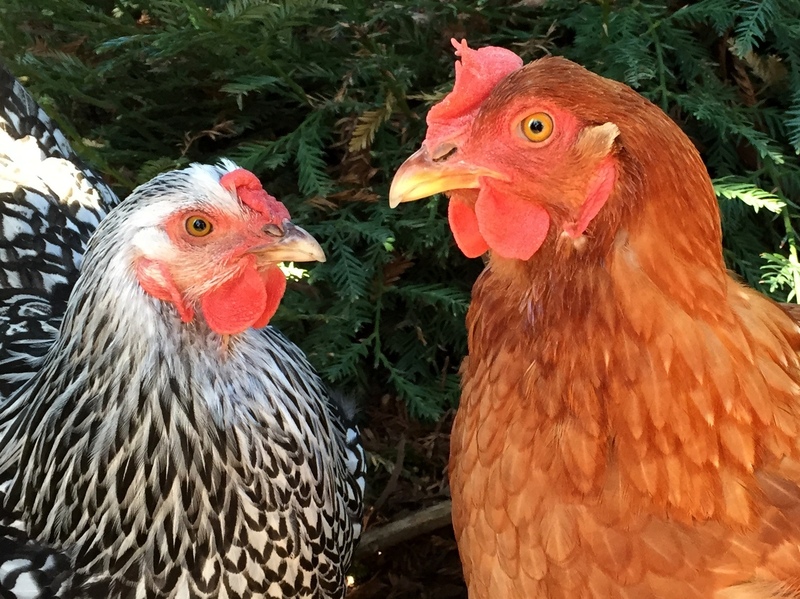 This entry was posted in Animal Husbandry and tagged animal husbandry, Chickens, homesteading, urban homesteading on February 16, 2015 by fullheartsfarm. I am writing as a means of quelling my anxiety. As I type, somewhere in Oakland a box of baby chickens is accompanying a USPS worker on his rounds. Last week I ordered 25 chicks (+ 1 free! Rare Exotic Breed) from McMurray Hatchery and according to my tracking info they will arrive sometime today. Hopefully sooner than later, as their window of possible survival is closing soon. Before they are born baby chicks absorb the nutrients from the egg yolk and can live for 3 days after hatching without food or water. Today is the 9th. The babies shipped on the 6th. Everybody cross your fingers for a box of *live* babies. This entry was posted in Poultry and tagged animal husbandry, Chickens, Chicks, Poultry on April 9, 2012 by fullheartsfarm.